The government has been concerned about the inadequacy of EPF savings for the retirees. The statistics show that 50% of contributors exhaust all of their EPF savings within five years of retirement and only 18% of active members aged 54 have adequate savings of at least RM173,000. To overcome this problem, Private Retirement Scheme (Scheme) was introduced in the 2012 budget in October 2011. 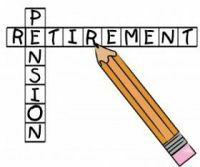 PRS is being administer by Private Pension Administrator (PPA). After more than a year, the government has approved 8 funds & they will be ready to accept fund soon. The main features of PRS, is a voluntary long-term investment scheme designed to help individuals accumulate savings for retirement. It complements the mandatory contributions made to EPF and contributor will be entitled for tax relief up to RM3,000 per annum until 2021. Below are the full description of PRS.